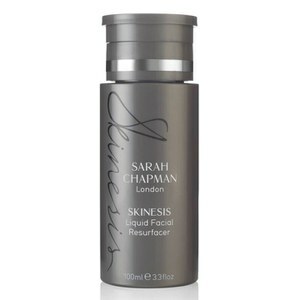 Revitalise your skin with Sarah Chapman’s Skinesis Liquid Facial Resurfacer; complexion correcting liquid that leaves glowing, balanced, and blemish-free skin. The daily use resurfacer targets signs of ageing, sun damage and problem skins helping to dissolve dulling dead skin cells, tighten pores and visibly reduce fine lines and redness. A carefully calibrated combination of face friendly acids negates the need for harsh exfoliation and results in a tightened, unclogged and refined skin texture. – E.W. 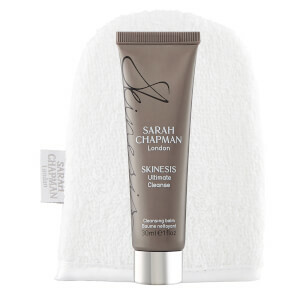 After cleansing in the morning or evening, sweep over clean skin on cotton wool. High Performance Actives: Vitamin A, Vitamin D3, Vitamin E, Flax seed, Sea Buckthorn, Omega 7, Riboflavin, Magnesium, Niacin, Vitamin B12, Vitamin B6, Biotin, Folic Acid, Vitamin C, Zinc gluconate, Copper Sulphate, Selenium Amino acid chelate, Silica (From natural source), Iodine (from kelp), Lutein, Lycopene, Hyaluronic Acid, Choline, Coenzyme Q10, Lavender, Hops, Resveratrol, Black pepper.